Rob Neill of Naples, Florida began building models after retiring from his job at the local power company. 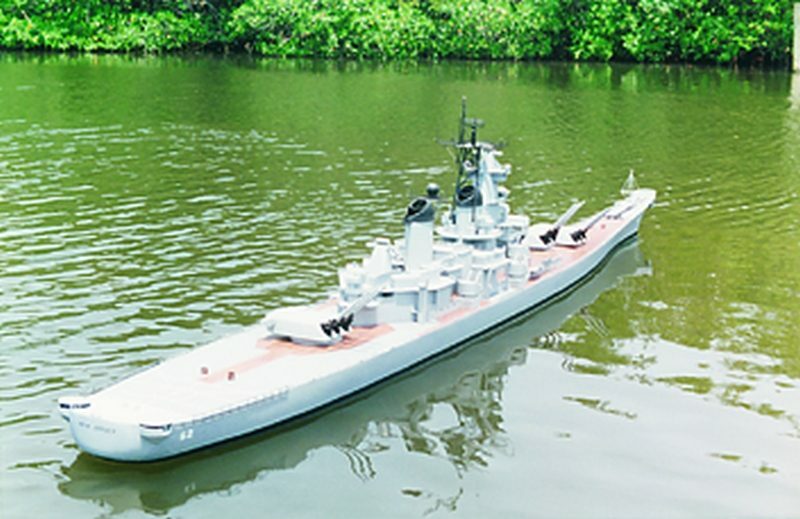 He spent two years building this 15′ radio controlled replica of the Iowa class Battleship, New Jersey, using wood, WEST SYSTEM® epoxy and brass. Starting from scratch, he completed a set of plans by scaling photographs and drawings from library books, then lofted a mold from the plans. The superstructure hinges open with the aid of a gas shock foraccess to the control center and batteries. 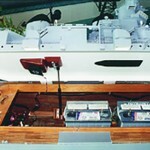 Power comes from two 12 volt deep cycle marine batteries which also run a tape deck and sound system. 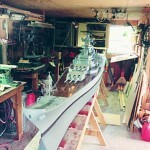 The deck is 1/4″ plywood and superstructure is is 1/8″ plywood, all bonded and sealed with epoxy. 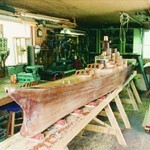 To properly scale the teak decks, Neill individually laid planks with 450 yd. of black tread between each plank to simulate caulking. Towers, railings, ladders, gun barrels and other details were made from brass stock. Four 12/24 volt industrial motors drive 3/16″ stainless steel propeller shafts and handmade 3″ brass propellers. Separate servos control the two port motors and the two starboard motors for maneuvering. 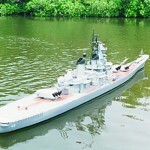 The forward and aft 5′ of the hull are water ballast tanks that allow the 200 lb. 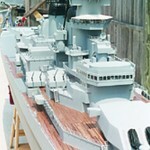 model to sink to its waterline. This entry was posted in Arts & Crafts and tagged #12, Epoxyworks #12, Fall 1998, radio controlled, Rob Neill, scale model on August 3, 2014 by ewadmin.